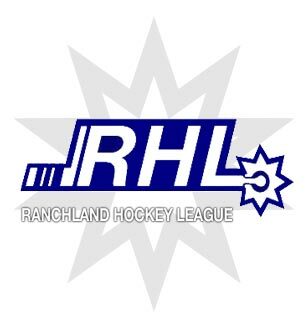 The Ranchland Hockey League (RHL) is holding its AGM on Wednesday August 19th at the Lethbridge Casino at 5pm. All current teams and new teams interested are ask to attend. According to the RHL website, "Currently the league has four teams committed to the upcoming season. The teams are Nanton, Fort Macleod, Kainai and Eden Valley." Siksika Nation and Vauxhall may put teams together again as well. Piikani is making a return, and will again call Pincher Creek's Memorial Community Centre Arena home until the new rink is completed in Brocket. Former RHL Cowboys coach Tyrone Potts has been tight-lipped about the prospects for 2015/16, or what that team might be called, or indeed if he's even part of it if it exists at all. Tight lipped with a smirk. As last season was ending he was sure there was going to be a team this season. Piikani hockey tends to be very physical hockey. The Pals are a hard hitting team too, and it helped them rock it to the top. In May it was announced that a 36,000 sq. ft. multipurpose centre is to be built in Brocket in partnership with ATCO Sustainable Communities. It's to be a quick-to-erect ATCO modular unit with a membrane-shell designed to include an ice rink and dressing room, a concession, and a meeting space. Piikani held referendums in October of 2014 (as detailed at this link). Long story short, Piikani citizens were asked to decide if they wanted to spend $2 million in settlement monies to build the centre. "Out of 2289 eligible voters 403 voted. 244 voted yes, 150 voted no. 8 ballots were spoiled." Pincher Creek's got plenty of young hungry talent, and some seasoned hands who have given 100% to the game. These young guys aren't ready for a life of pass the puck rec hockey, they're too hungry for that. As it should be. Ditto Piikani. In a perfect RHL world that would equal two teams, three if Crowsnest put one together too, but that's all just crazy talk. Finding enough talent that can commit to a full season of very physical hockey is the RHL's biggest challenge. When players come and go it hurts a team, as we saw with the demise of the Huskies. At 4 teams the RHL is just hanging on, and the same combinations have to play each other in rotation to have a full season, weekend after weekend. At 6 or 8 teams the league would be considerably more entertaining for the fans and players alike.